TRIBOLUBE KO2 solvent is a low molecular weight Perfluoropolyether (PFPE) designed for use as a solvent for Perfluoropolyether (PFPE) greases. Tribolube KO2 is formulated to be compatible and completely miscible with all PFPE fluids in a wide range of temperatures. In addition to being used as an excellent solvent, Tribolube KO2 can also act as a diluent in the application of more viscous PFPE fluids and greases. 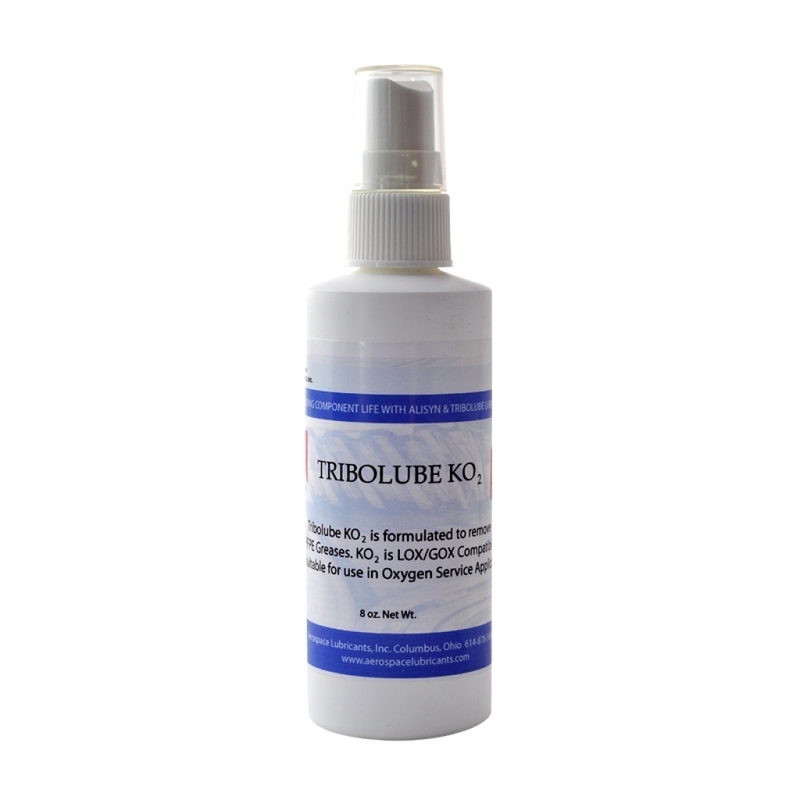 Tribolube KO2 is LOX/GOX compatible and safe for use in oxygen service applications.